General Builders, Kitchen and Bathroom Fitters in Chatham, Rochester, Gillingham, Medway, Swale and Kent. Whibhard Builders are a family run business based in Chatham, Medway, Kent and are focused on providing a high quality service, reliability and customer satisfaction at a very competitive affordable price. We will do everything we can to meet your expectations, help you with your project and go that extra mile for you. We are Kitchen and Bathtoom specialists, however Whibhard Builders offer a variety of building and home improvement services. We have a highly skilled and experienced team of tradesman and provide the full package. We are specialists in refurbishments and if you need a bathroom installation our team of bathroom fitters, plumbers and tilers are ready to help...Or is it that dream kitchen installation that you want? 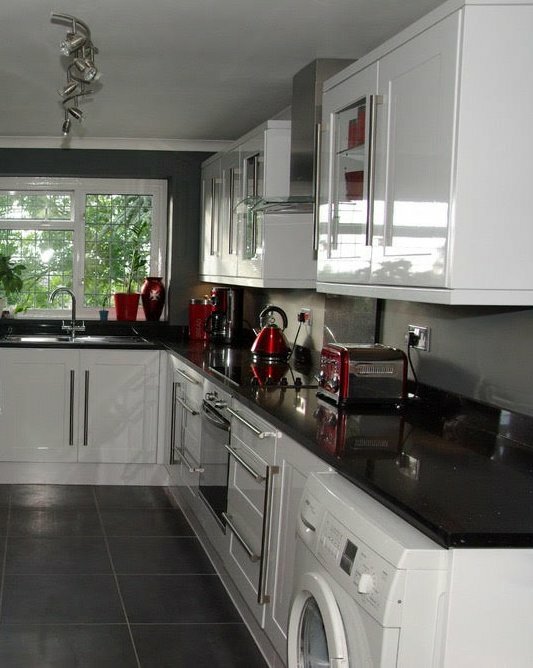 Our quality carpenters and kitchen fitters can provide you with the kitchen you deserve. Do you need a good clean plastering service? Look no further, get that nice flat ceiling and smooth walls without hassle and mess. Kitchen splashbacks, bathroom floor and wall tiling make a big difference to any project from a quick spruce up to a full refurb, we have very competitive prices. You can also find us on facebook and see some recent jobs we have completed with ratings, reviews and pictures from recent customers. Designed by Bluewasp Web Solutions.